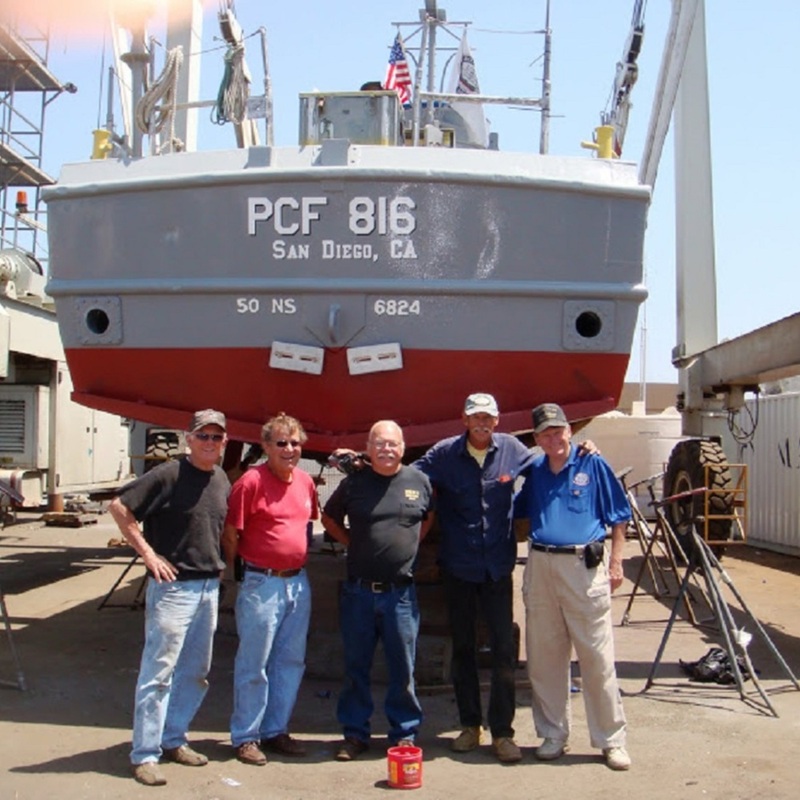 PCF 816 was one of ten Swift Boats used to train Swift Boat Sailors at Naval Amphibious Base in Coronado, CA. In February 1971, the U.S. Navy donated PCF 816 (and PCF 813) to the Republic of Malta and renamed P24 (and P23, respectively). Her duties included coast guard duty, interdicting smugglers, harbor security, and search & rescue. She served for 40 years and finally decommissioned in 2011. She was one of the last two PCF's to be in service. The Swift Boat Sailors Association received PCF 816 from the Malta Government in 2012 and she is currently restored, on display, and available for sea tours, at the San Diego Maritime Museum.